Salad Turnips are awesome. Straight-up folks, they're amazing. We pick them straight out of the garden, shake off the soil and sink our teeth into these succulent, sweet, buttery, creamy, refreshing roots. 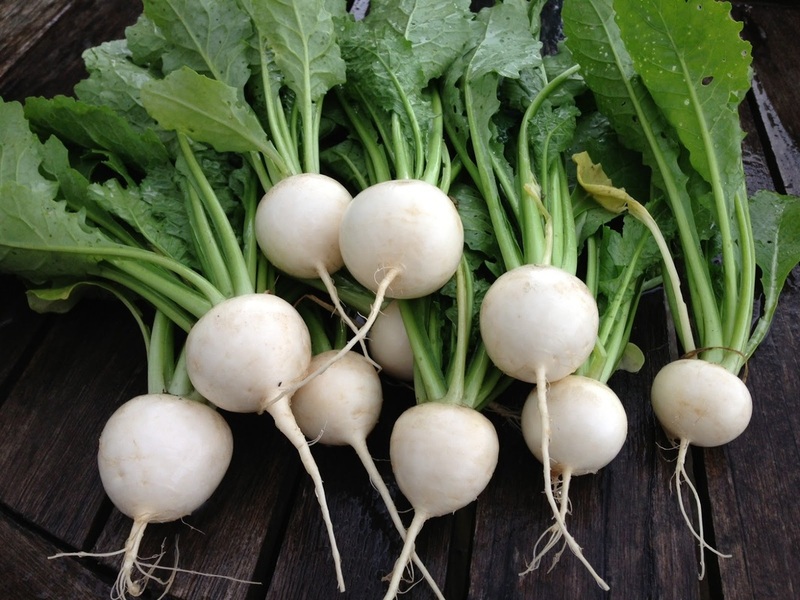 In flavor they remind us of a combination of kohlrabi and snap peas, all with the texture of a firm pear. So wonderful! They're great in salads, sliced, or chunked. They're great in the lunchbox as is. And they're really nice sliced in half and sauteed in olive oil and tossed with some braising mix over pasta. And, you know, I'm sure there's a million more great ways to prepare these, but they never seem to get that far into our kitchen before they're eaten!